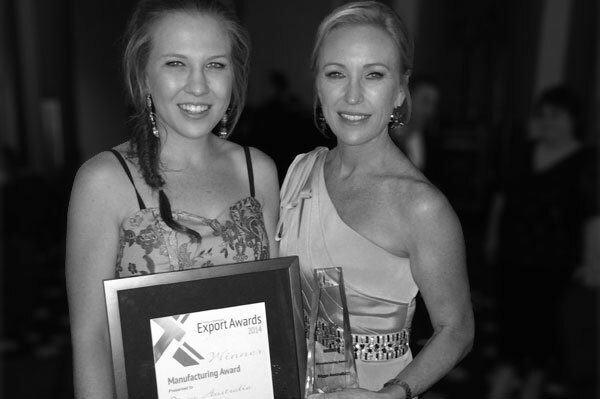 Pictured: Zoe Davies and Digga CEO Suzie Wright accepting the QMEA award. DIGGA, the leading manufacturer of earthmoving machinery attachments in Australia, today announced that they were awarded the 'QLD Manufacturing Exporter of the Year' at the annual Premier of Queensland Export Awards. The event, in its 25th year brings together Queensland’s top companies whose products are exported throughout the world. Digga Australia, who started from humble beginnings in 1981, now distributes their products through more than 450 dealers in over 60 countries. The manufacture and distribution is supported by five company owned facilities, three in Australia, one in the United Kingdom, and one in the USA. While Digga manufactures over 70 different types of machinery attachments such as auger drives, trenchers, augers, brooms and pallet forks for skid steer loaders, tractors and excavators, currently 5 ranges are exported. As a state winner, Digga are now in the running to win a National Export award to be announced at a gala event on the 27th of November, 2014.